My retainers fit like a glove and snap in pretty easily… Before leaving Dr. B to see Dr. M for bleaching, I had to practice removing my retainers and setting them back into place at least a few times. I felt like I was fumbling with them but I knew that after several times wearing them, this would become second nature. It’s a lot easier for me when I have a mirror around to look at while I’m doing this. Dr. B gave me the choice last month of correcting my lower mid gap with retainers rather than spending an extra month or so with braces. Because of this, I’m determined to do my best at wearing the elastics every time the retainer is on. I am writing this blog today, September 6, 2010 and can confirm that the gap has practically closed (of course I will wear the elastics as long as Dr. B advises me to do so). One thing I will need to get used to is waking up with a dry mouth. Not sure if the retainers cause me to sleep unknowingly with my mouth open? I don’t like that my mouth feels so pasty in the morning =( but I will have to get over this. Ever since my oral hygiene improved quite a bit these past 1.5 years, I’ve been waking up with a mouth that actually feels much cleaner. I will definitely miss this =(. I also have to practice speaking with them on since they make me slur most of my words. I’m a little mortified about this but I need to get through it somehow. 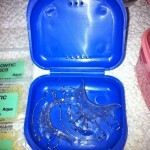 1) Wear my upper retainers especially when I’m at home, but may have the option to go sans uppers when I’m not at home. 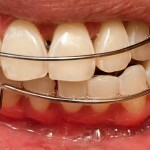 2) Wear my lower retainers with the elastic whether or not I’m at home. 3) I may drink with my retainers on; however, no eating with them on. 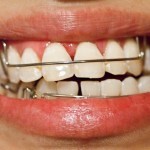 4) Clean them a few times a day with a brush and orthodontic cleanser tablets. 5) Keep them in a safe place, especially away from pets. 6) Do not drop them on a hard surface. (1) + (2) I’ve been adhering closely to the first two rules. 3) I don’t eat with my retainers on and although I do drink with my retainers on, I only drink water. I think it’s a bit nasty drinking soda, milk, coffee, or orange juice with them on. 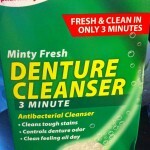 I’m not sure if rinsing would be enough to cleanse the retainers. I’m also undecided on what to do about tea yet, but I imagine that rinsing a couple of times afterwards with water might suffice. 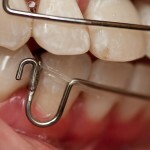 I want to avoid re-staining my teeth at all costs. Use of a soft brush and CVS Minty Fresh Denture Cleanser tablets AM & PM (CVS confirmed that this particular item should be used at maximum 3x per day, otherwise may start to dissolve the retainer). 5) My pets have no access to my bathroom. 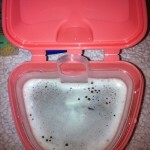 6) I’m using a retainer case my dental office gave me to store my retainers. A proper retainer case keeps expensive retainers safe and clean when not in use; they have a hinged design with ventilation holes. I imagine that keeping retainers in anything other than a case meant for them wouldn’t be such a good idea (they may be prone to damage or bacterial growth). There are sparkly, nicely scented, and patterned ones out there so accessorize accessorize =)! 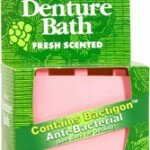 I also purchased a Brimm’s Sea Bond Denture Bath for less than $3.00 from CVS to use during the times I need to soak my retainers in a effervescent bath. I love that it has a lift strainer. Although I keep my sink very clean, I can’t imagine using it as a retainer soaking basin since the porcelain may damage my retainers should I drop it in by accident. There may also be germs I’m not aware of (after-all, I do use it for multi-purposes).